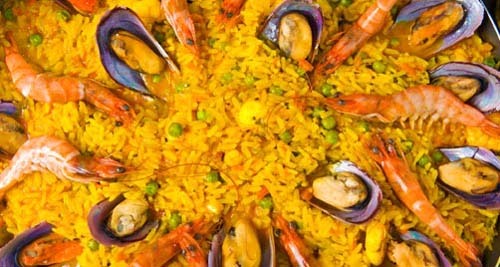 In Torremolinos we will find a lot of restaurants to eat fish or seafood, and beach bars. Find below some of the best or most popular restaurants in Torremolinos. British cuisine in Torremolinos, next to Benalmadena Puerto Marina. Opened in 2016 with food prepared using local ingredients. View online map and website. Big beachfront bar and restaurant serving a wide range of Tapas. Free tapas samples with a glass of wine. Open from early morning for a breakfast and freshly squeezed fruit juices, finest Italian ILLY coffee and freshly baked Dutch Apple Pie. Complimentary high-speed wifi on both, the restaurant terrace and El Gato beach in front. Ideal for when you don´t want to leave home and want a pizza. If you do not find the phone number Telepizza, here you have it. Terrace overlooking the sea and open kitchen. For lovers of good food, with an extensive menu with specialties and the best national and international cuisine. Fresh seafood, large and well stocked wine cellar, large selection of exotic meats: zebra, gazelle, wildebeest, impala, buffalo, reindeer, kangaroo, horse and ostrich. 952 37 41 18 ? Good Chinese food restaurant in La Carihuela. Seafood restaurant in La Carihuela, next to the beach. Good pizza delivery restaurant in Torremolinos and Benalmadena. Feel free to add in the comments your favourite place or give your opinion on any of the listed restaurants in Torremolinos.